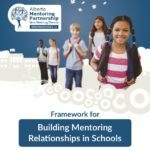 Whether you are starting a mentoring program, improving your delivery, or recruiting and training mentors, the Alberta Mentoring Partnership can help. 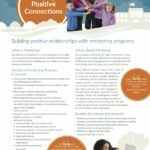 Learn the benefits of in-school mentoring and find tips and resources on starting your own in-school program. 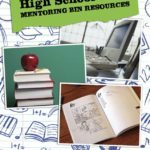 Looking to implement a mentoring program for students at your school? Use this toolkit to identify your desired mentoring program model, plan your formal mentoring program, and identify community resources to support your school initiative. 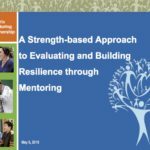 Rather than focus on problem behaviours and risks, strength-based mentoring helps youth realize their strengths, identify and develop their leadership skills, and apply them in healthy, productive ways. Use this toolkit to strengthen in-school mentoring at the elementary or secondary levels, and help mentors look beyond problem behaviours to kids’ strengths and potential. High school students make great mentors to younger kids. Give them the right tools and training to help them interact with younger children in positive ways that promote healthy development. This 3-resource toolkit helps students step into leadership roles as mentors. 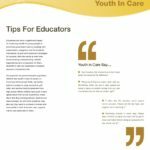 This guide is a joint initiative between Alberta Education and Human Services to support improved school outcomes and high school completion rates for children and youth in provincial government care. Learn more about this initiative and find tips for educators and school administration to help kids succeed. 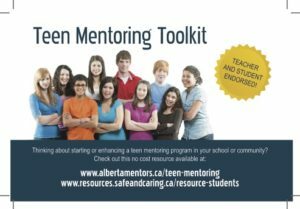 The Teen Mentoring Toolkit is a resource designed for schools and community organizations choosing to engage students in creating a welcoming, caring, respectful and safe community through positive mentoring relationships. 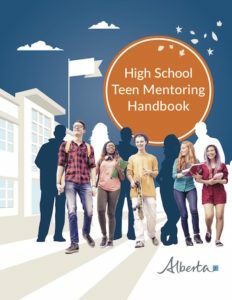 This toolkit identifies key areas for consideration as well as evidence-based practices, strategies and tools for planning, implementing and evaluating a quality teen mentoring program. 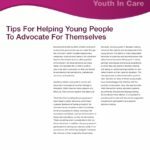 The information can be adapted by youth-serving organizations partnering with a school or running a teen mentoring program within a community-based setting. Description: Students learn about the characteristics of positive mentoring relationships in their personal lives and society. Students prepare to engage in a mentoring relationship. 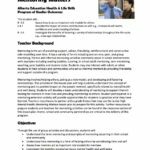 Students apply basic mentoring skills to a mentoring relationship and explore considerations for safety related to mentoring. Supporting Courses: HSS1030 Communicating Skills for Helping Relationships; HSS1040 Developing Maturity and Independence; HSS2020 Nurturing Children. 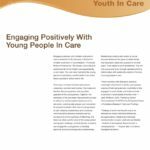 Description: Students analyze the relationship of mentoring and the wellness of individuals and communities. Students build a personal profile to prepare for their role as a mentor and demonstrate mentoring skills. Supporting Courses: HSS1030 Communication Skills for Health Professionals; HSS2030 Perspectives on Interpersonal Relationships; HSS3050 Becoming a Mentee. Description: Students build a personal profile to engage as a mentee in a successful mentoring relationship to explore career and/or personal goals for citizenship or volunteering in their community. Supporting Courses: HSS1030 Communicating Skills for Health Professionals; HSS1050 Introduction to Mentoring. 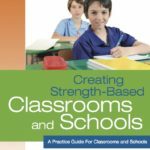 Description: Students demonstrate effective strategies for enhancing resiliency in the context of a mentoring relationship. Students examine unique populations that commonly occur in communities and adapt mentoring activities to meet the needs of supported populations and cultural differences, including differences related to a first Nations, Métis and Inuit (FNMI) perspectives. . Note: Successful completion of this course enables the student to apply for a certificate of completion for Foundations of Mentoring issued by the Alberta Mentoring Partnership in collaboration with Big Brothers Big Sisters when they meet the standards and requirements specified. High students who have completed the CTS Mentoring course HSS 3060 “Extending the Mentoring Relations”, have been in a long term mentoring relationship and have completed the Online Mentor Training (AMP) can apply for a “Foundations in Mentoring” certificate by filling out the application click here. Supporting Courses: HSS1030 Communication skills for Health Professionals; HSS2030 Perspectives on Interpersonal Relationships; HSS3050 Becoming a Mentee; HSS3070 Peer Mentoring. Prerequisites: HSS1080 Leadership Fundamentals 1; HSS3050 Becoming a Mentee; HSS3060 Extending the Mentoring Relationship. 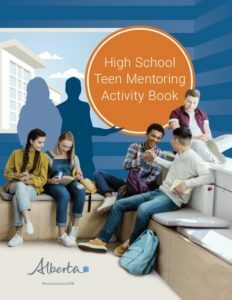 Description: Students examine the Positive Youth Development Model and assist in the planning, facilitation and assessment of a peer mentoring program for a specific community. Parameters: Access to an existing Peer Mentoring program or a Peer Mentoring Program that is being initiated. Supporting Courses: CCS 3080 Community Enhancement; HSS1030 Communicating Skills for Health professionals; HSS1040 Developing Maturity and Independence; HSS2030 Perspectives on Interpersonal Relationships; HSS2080 Fundamentals of Leadership 2. Designed for teachers to use with their grades four to six classes, the lesson plan helps students discover the benefits of mentoring through group discussion and activities. The lesson plan meets the outcomes of Alberta Education’s Health and Life Skills Program. 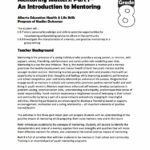 Designed for teachers to use with their grade eight classes, the lesson plan gives students an understanding of the positive impact of mentoring while preparing them to be mentors. The thee-part lesson introduces students to the concept of mentoring, trains students to be mentors, and gives them an opportunity to practice interacting with younger children. The lesson plan meets the outcomes of Alberta Education’s Health and Life Skills Program. 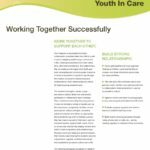 Assist Alberta Education and Children and Youth Services to work together at the local level with the child/youth, their caregivers and other appropriate partners to share information and engage in joint decision-making to plan for and support school success for children and youth in care.